These were among the hundreds of findings reported by U.S. scientists who have wrapped up a 22-day mission exploring waters around Puerto Rico and the U.S. Virgin Islands in the deepest dives ever recorded in the region. Guided by other land-based scientists watching live feeds, they collected 89 samples and will now start to analyze them, Daniel Wagner, expedition coordinator with the U.S. National Oceanic and Atmospheric Administration, told The Associated Press on Wednesday. “When they tell you, ‘I’ve never seen that before,’ it’s a good indication that it’s a new species or something that’s new to this region,” he said. It will take several years for scientists to establish whether any new species were discovered, but in the meantime, they will ship all the coral branches, pieces of sponge, brittle starfish and rocks they collected to the Smithsonian National Museum of Natural History, Wagner said. 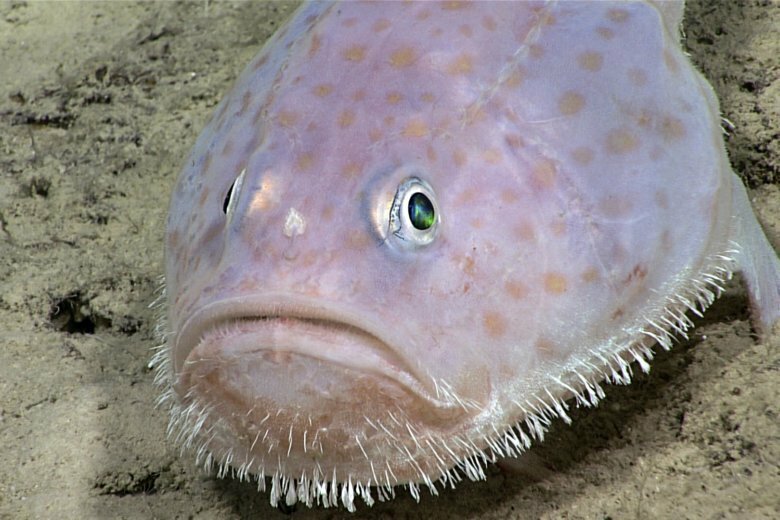 Scientists aboard the 224-foot (68-meter) Okeanos Explorer also identified some 30 species of fish, including some in areas where previously they hadn’t been spotted. These include commercially popular fish such as snappers and groupers, which were seen about 100 meters (330 feet) deeper than reported to exist. “That’s a great thing,” Wagner said. In addition, they mapped geological features up to 3 miles (5,000 meters) deep, covering an area close to 15,000 square kilometers (5,800 square miles), he said. The 19 dives performed by remotely operated vehicles over 145 hours were streamed live and drew a lot of online attention. One especially popular video was that of a catshark embryo attached to a coral branch some 800 feet deep near an uninhabited island off Puerto Rico’s west coast. Overall, the ecosystems appeared healthy, although scientists also saw pieces of trash on a few dives and the occasional fishing line, he added. “It’s a sad thing, but a healthy reminder that our things go down to the deep sea,” he said. The sites explored were chosen from a list of 80 submitted by scientists worldwide, including the location of a 1918 earthquake that generated a tsunami, killing more than 100 people in Puerto Rico.